DescriptionPieter Dommersen was born in Utrecht, Holland. He moved with his family to England at the end of the 19th Century. His family name was Dommenshuizen, but was changed for convenience when they came to England. Dommersen came from a highly artistic family - his brother Christian C., (fl. 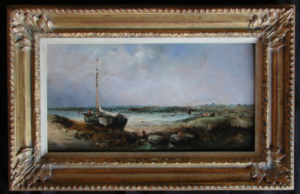 1860-1890) was a marine painter, and his son William Raymond is well known for his paintings of the Dutch waterways. 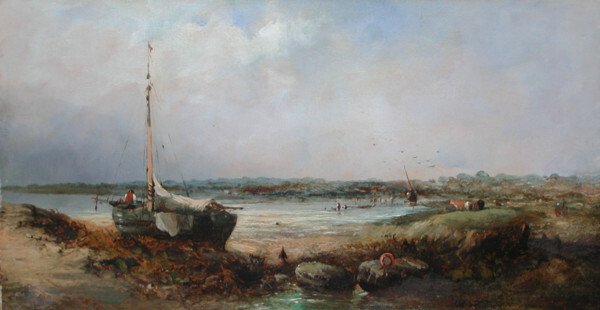 Dommersen travelled around Europe on painting tours. He was often accompanied by his son, and a similarity can be seen in their treatment of figures. 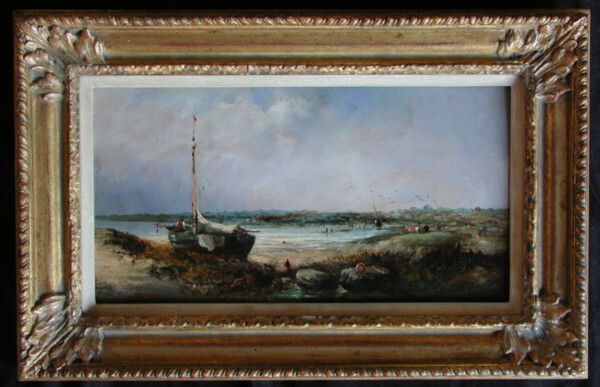 Dommersen is most famous for his marine subjects and his street scenes. His works show excellent composition and depth and he captures movement and atmosphere exquisitely. Exhibition HistoryHe exhibited his work at the Royal Academy, the British Institution and the Suffolk Street galleries of the Royal Society of British Artists.